Even with the necessary open space, not all cases are equal when it comes to design and circulation. Finally, don’t overlook visual appeal since gaming cases are large and not unlike a piece of furniture. In order to help to find a case that best suits your gaming needs, we’ve identified 15 of the best PC gaming cases on the market, and we’ve organized them into three tiers. 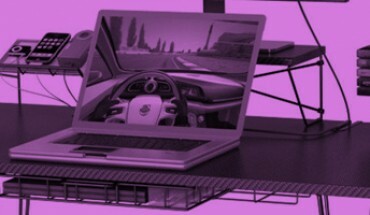 The first tier includes high-end cases for the enthusiast who’ll spare no expense for the features he or she wants. The second tier encompasses mid-range options that are all exceptional but may lack some of the frills at the premium end of the scale. Lastly, the third tier features economy options that provide considerable bang for the buck. First, we will look at these gaming cases in a tidy comparison table, before going into a review of each individually. Two chamber design is even better than normal ATX cases. The Obsidian 900D is arguably the crown jewel of PC gaming cases right now. 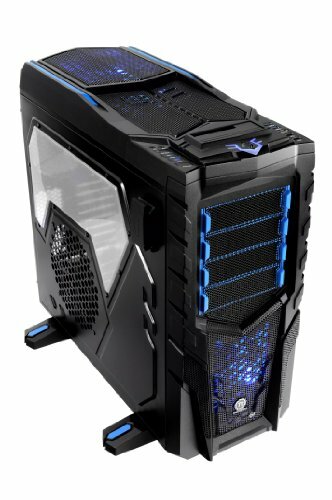 If you want to run GTX 980s in a four-way configuration with two 1000w Corsair PSUs, cool it all with liquid and have room to spare, this is the case for you. The case provides space for nine hard drives as well, and if you get creative with SSDs, you could probably squeeze in twice that or more. 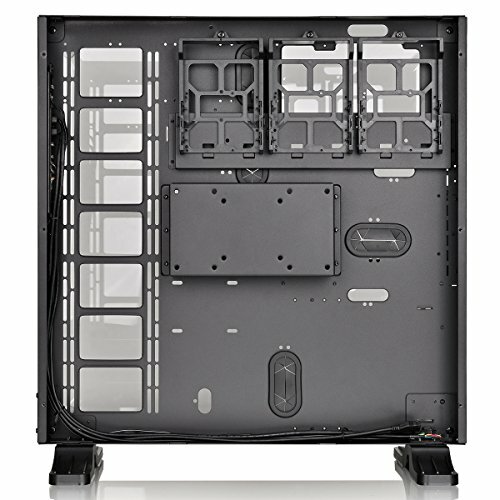 The default ventilation design is flawless, and you can install 15 cooling fans in total. 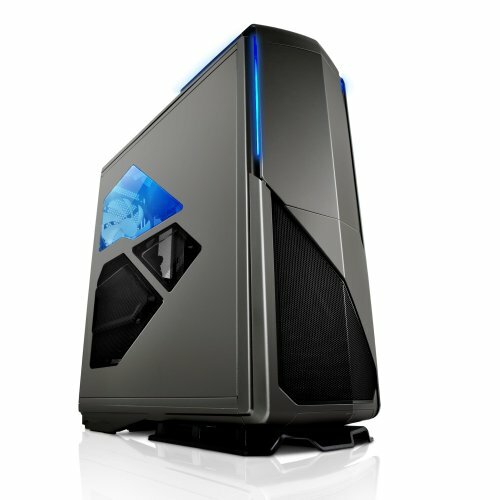 This top model in the SilverStone Temjin series vies with the 900D for king of the hill among PC gaming cases. 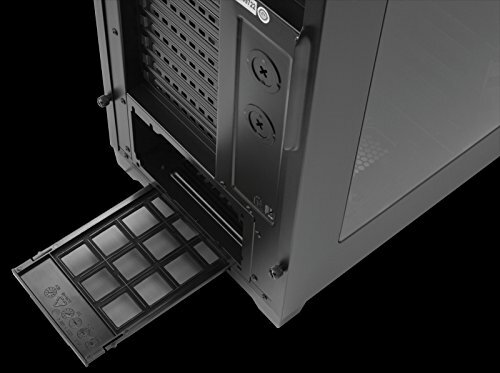 The primary reason we list it second is the price, but there are some advantages that come with that added cost, and while the 900D is no slouch in the liquid cooling department, this case is second-to-none. The interior configuration options really set it apart and give gamers the versatility they need to get their water cooling setup just right regardless of the hardware they choose. We’re not beyond being vain when it comes to our cases, and like most Cooler Master cases, the Cosmos II is a looker. That stylishness can be deceiving, and while it may look smaller than the SilverStone listed above, it’s actually quite comparable. You have ample room with liquid cooling, and if you want a four-way GPU configuration, that won’t be a problem. The built-in handles are also very convenient if you attend gaming events, go to LAN parties or just bring your rig to a friend’s house. 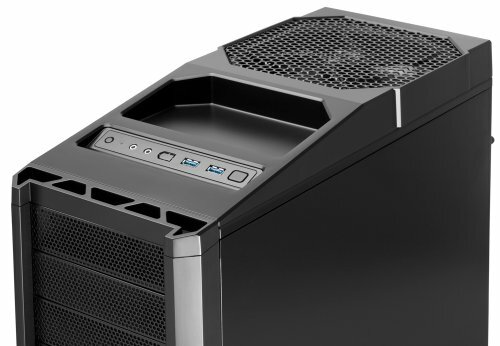 The Lian-Li PC-D600WB is one of the most stylish cases on the market, and if you want a tower case that fits into your high-end home entertainment system seamlessly, this is an excellent but pricey option. The case is available in silver, black and all black, which means that the interior is coated as well. Make no mistake about it: this is a luxury case, and the price tag reflects that. Nevertheless, it is enormous, isn’t lacking any features and exudes premium quality in every aspect. 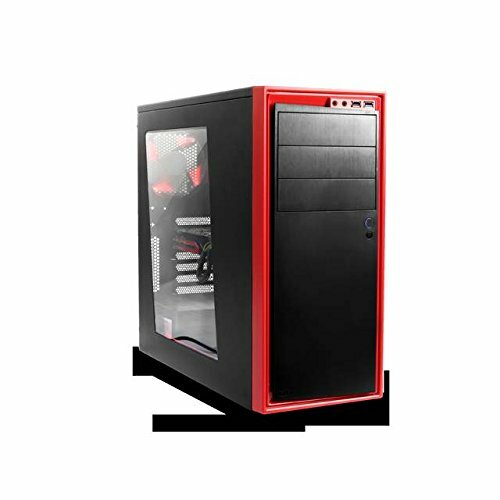 The Chaser VN300M1W2N by Thermaltake is a Full-Tower matching up to the spec of the other premium options but at a considerably cheaper price. As gamers, we really like the conveniences it provides, such as a safe place to put our headsets during bathroom breaks, the superb liquid cooling and the ability to hot swap drives while seated. The MSRP on a Phantom 820 is more like a high-end case, but most major retailers sell it significantly below the MSRP and at a price level we feel squeezes just into mid-range. If you can stretch your budget just a little, then you can have premium-like space and style without the need for a small fortune. We really like the integrated HUE lighting for a gaming setup, and it comes equipped with a fan controller, a 140mm fan, three 200mm fans and support for three additional fans. Priced just under the Phantom 820, the HAF X is a beast and an excellent buy. In fact, a couple of years ago, this case would have been closer to the top of this list. It hasn’t changed much over the years, and perhaps, that’s the issue. Nevertheless, this remains one of the best designs on the market when it comes to cooling through air circulation. 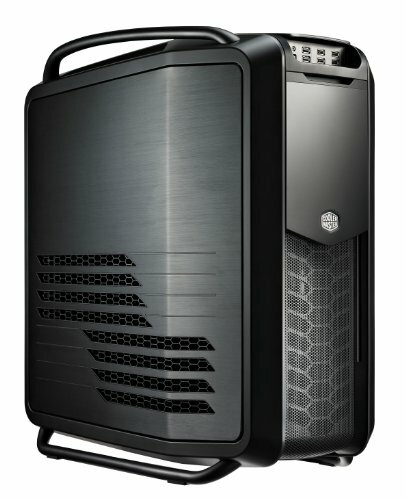 It also has plenty of room and support for liquid cooling, but that’s an area where the newer cases with their newer features edge ahead. 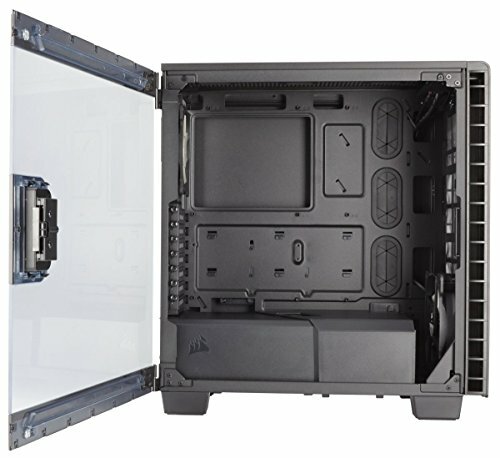 If the Phantom 820 and HAF X are still outside your budget, then you can make an argument that the Corsair Obsidian 750D is the best mid-range case on the market. 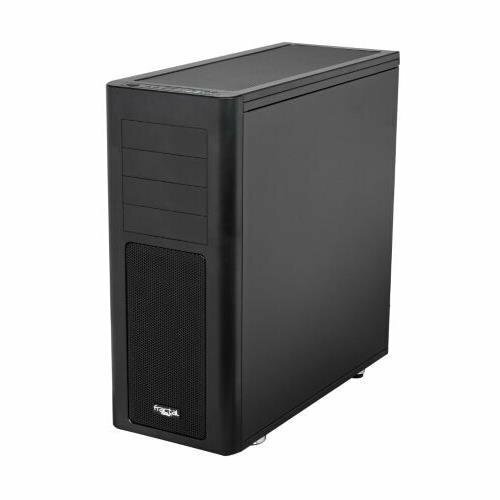 Outside of the price tag, this full tower has a lot in common with the 950D that tops our list. Arguably the biggest difference between this and the 950D is that it uses plastic in a lot of places where the 950D features steel or aluminum. 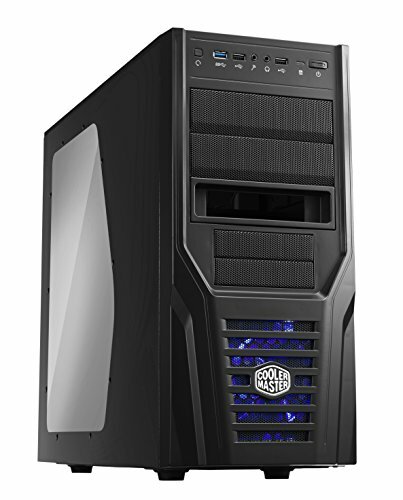 Note that this case is also available in an Airflow Edition, but the version is priced more like the NZXT case. 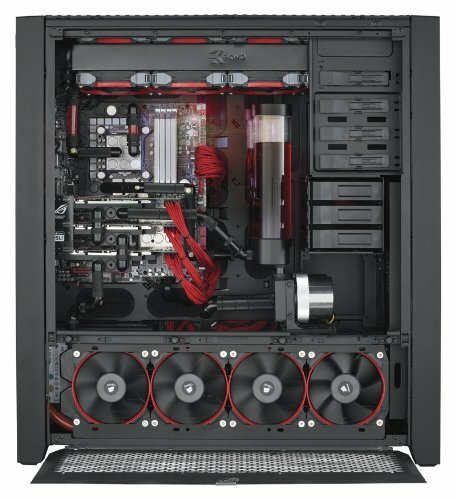 The CORE P5 by Thermaltake is likely to be the kind of case you love or hate due to the aesthetics. If you love it, then the sheer value here is really impressive. We have a feeling that if this case does well, the second iteration will be priced outside of the mid-range or at least at the top end of it. The main point in deciding if this case is for you is whether you like the open, clear design. This case certainly isn’t for the gamer who goes a few weeks before dusting. 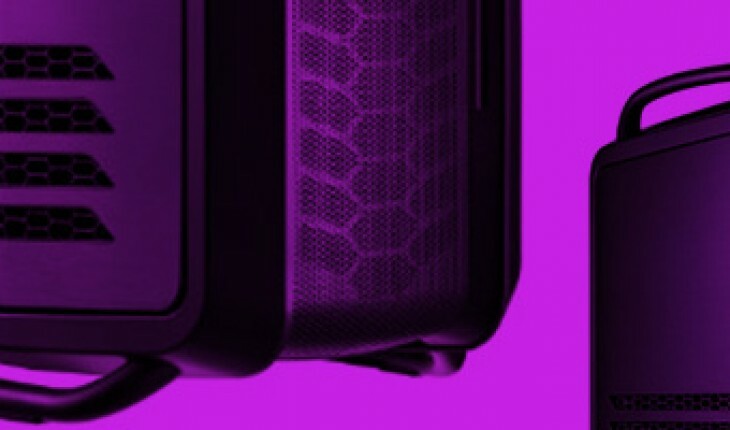 The Arc XL is a case that we think flies a bit under the radar. You can probably make an argument for it higher on our list based on your preferences. Despite that, this case is usually relatively inexpensive. In fact, if you hit the right sale, you can get it at a price that probably fits into the budget segment. The advanced water cooling support is very impressive, and if you’re water cooling on a budget, you’ll definitely want to take a long look at this case. Just because you’re on a limited budget it shouldn’t mean you can’t build an awesome Gaming PC. Here are our top 5 cheap gaming cases. 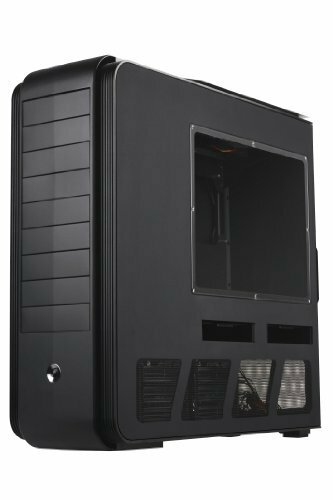 This old dog has been around for a while now, and it’s still one of the best mid-tower cases you can buy for under a hundred bucks. Antec has even added USB 3.0 support to the front panel after the fact. This case is quality through and through, and it really outclasses a lot of cases that sell for just 10 to 30 dollars less. 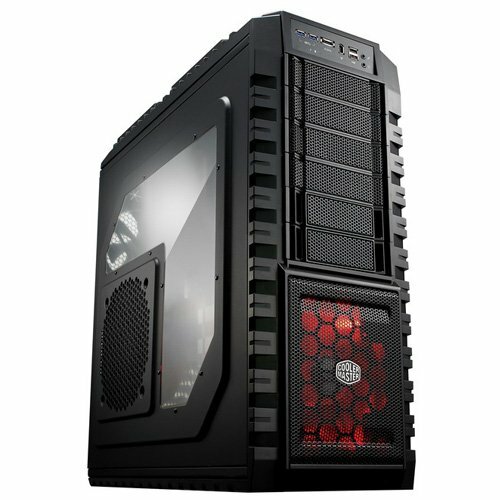 At just hundred a hundred dollars, choosing between the Carbide 400C and the Antec 900 was tough. We did choose the 900 because of the added compartment space, but what really surprised us about the 400C was just how much space it does have for a compact. There’s also a Q version of this case that’s a little more expensive but features noise dampening. If your budget is in the low range, then the HAF 912 is where it’s at. The case supports liquid cooling exceptionally well. 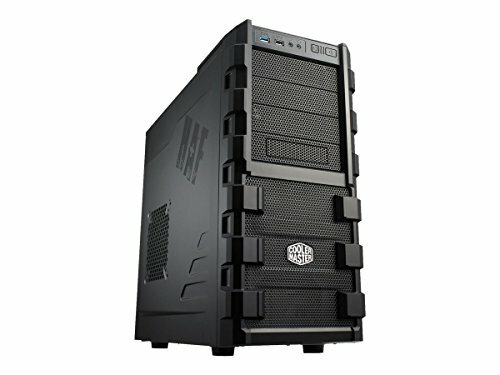 The roominess is at the high end of a mid-tower case, and the HAF 912 is exceptionally quite for the price point even if you add all of the optional fans. It’s worth noting that adding at least two 120mm fans is less of an option and more of a necessity in a practical sense. 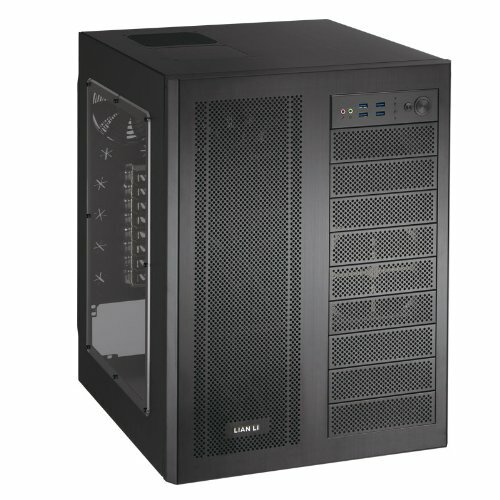 If you like the HAF 912 but want to get even cheaper, then the Elite 421 Plus is worth considering. It’s usually priced at the low end, and you can get it even cheaper than that if you’re patient. At that price, that built-in airflow, ventilation and support for oversized GPUs is excellent. The cable management options are solid but tight, and that may prove frustrating if you swap components frequently. This is simply not your usual budget case. The build quality is excellent, and there are a number of upgrade options, which makes this a nice choice if you’re short on funds now but will add fans and other accessories later. You probably won’t water cool in this, but having an ATX motherboard, an aftermarket CPU fan and a large video card isn’t going to be a problem.